Partner Blake Dorr will attend the Asian Patent Attorneys Association 67th Council Meeting in Auckland, New Zealand on November 4, 2017. Partner Blake Dorr will attend the Asian Patent Attorneys Association 66th Council Meeting in Bali, Indonesia on October 8, 2016. The 137th annual meeting of the International Trademark Association (INTA) takes place in San Diego, California and will be attended by more than 9,500 trademark professionals including a large delegation from Cantor Colburn. Blake Dorr attended INTA's Trademarks in Japan conference in Tokyo. 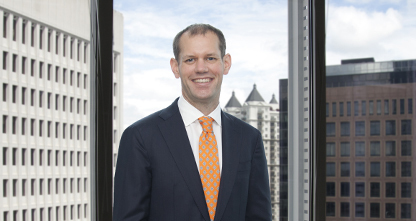 Blake, a partner in the firm's Atlanta office, was an attorney with a Japanese firm for two years.